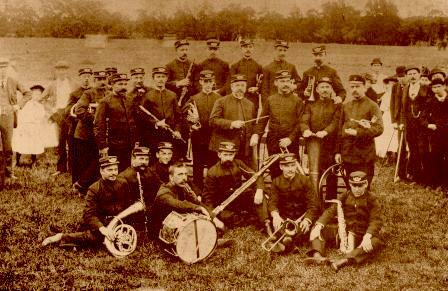 The American Band, founded in 1837, is one of America’s oldest civilian concert bands. It was originally organized as an all-brass band under its first leader, Joseph Green, and soon became known as one of New England’s finest brass bands, performing a variety of engagements ranging from concerts to balls to military musters. In April of 1861 the Band, whose members served as stretcher-bearers for the wounded, saw action at the battle of Bull Run. Its only casualty was the loss of its bass drum during the Union retreat. In 1866, David Wallis Reeves, a renowned cornetist with the famous Dodwarth Band of New York, was hired to lead the Band. 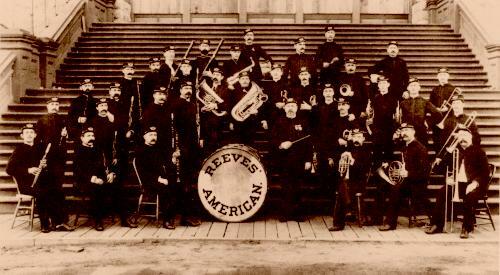 Reeves added woodwinds to the formerly all-brass group, and the ensemble became known as “Reeves’ American Band”. It was as a composer that Reeves won the most fame during his years in Providence. He wrote over 100 marches alone, developing an American March Style that was to form the foundation for such future march greats as John Philip Sousa, Henry Fillmore and others. Under Reeves’ direction, The American Band became even more popular and soon, as the result of several national tours, became known as one of the finest in the nation. 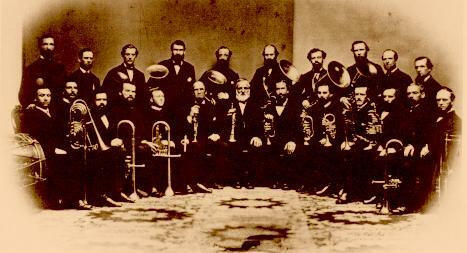 After Reeves’ death in 1900, the Band was led by such notable musicians as Bowen R. Church, Herbert L. Clarke, Edward Fay, Warren Fales, Joseph Lemaire, Frank Wollenberg and Alfred Archambault. In 1978 the Band underwent a complete reorganization under a new music director, Dr. Francis M. Marciniak, Director of Bands at Rhode Island College. Since 1978 the Band has been performing between 15 to 20 concerts each year around Rhode Island and southern New England, continuing the proud tradition begun in 1837. Since the death of Dr. Marciniak in May of 1996 the band was under the baton of Dr. Gene Pollart of the University of Rhode Island until his retirement in April of 2013. Currently the Band is under the leadership of Dr. Brian Cardany of the University of Rhode Island. The American Band is a 501(c)(3) organization.